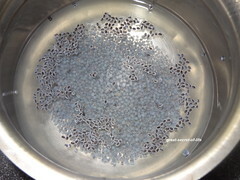 Soak the basil seeds in 1/2 cup coconut water for 15 mins. 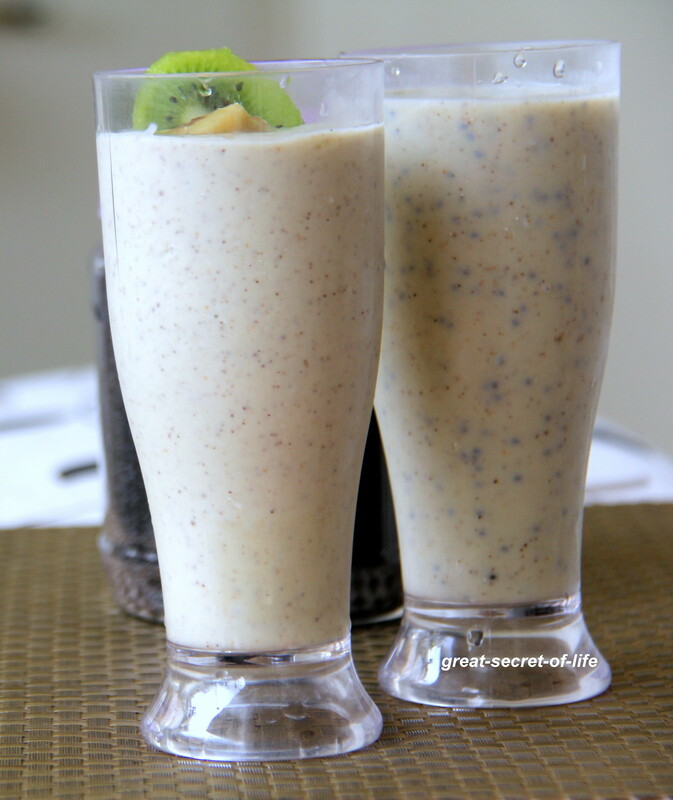 Chop the frozen banana, Kiwi into 1/2 inch pieces. 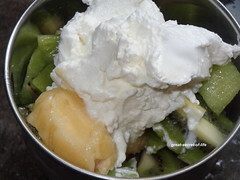 Add those in food processor / blender / mixie together with yogurt and grind them to smooth paste. 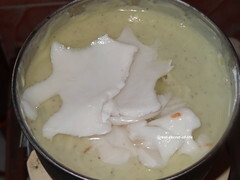 Add young coconut, young coconut water and honey (if using) and run the blener till you get desired consistency. 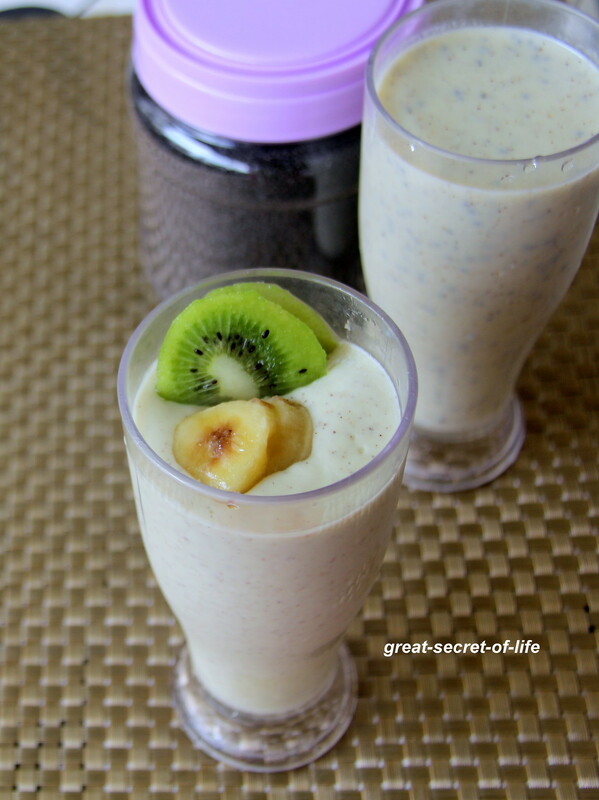 Very filling smoothie, i can have it happily anytime. sounds like a very healthy smoothie.. 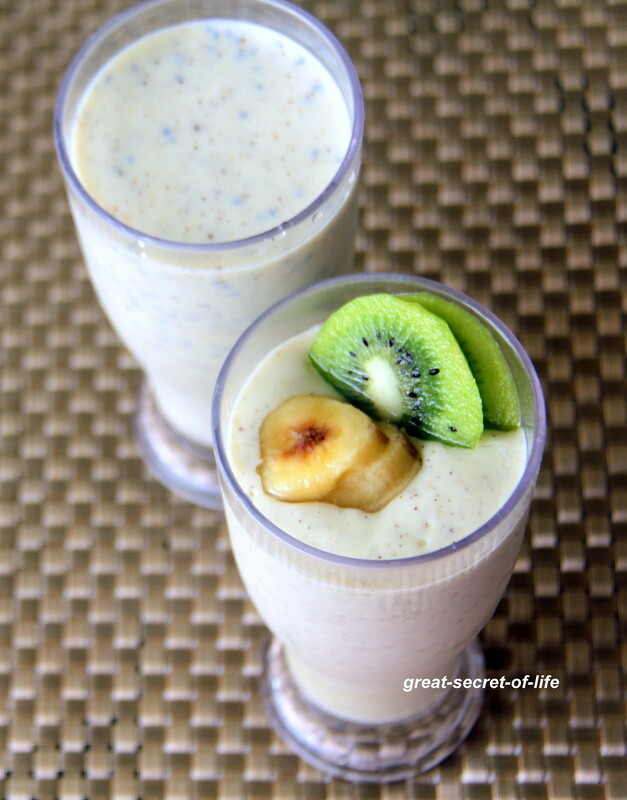 Healthy, filling and yummy smoothie! I have never used Coconut water in any smoothie before, brilliant idea !! So good and so healthy. 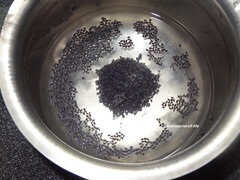 I still have some basil seeds and time to bring it out.